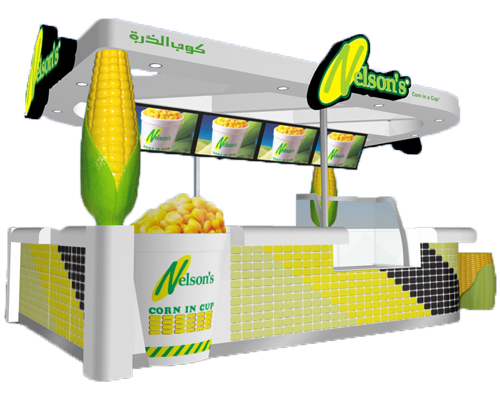 Everybody loves Nelson’s healthy finger food! Feeling Thirsty? 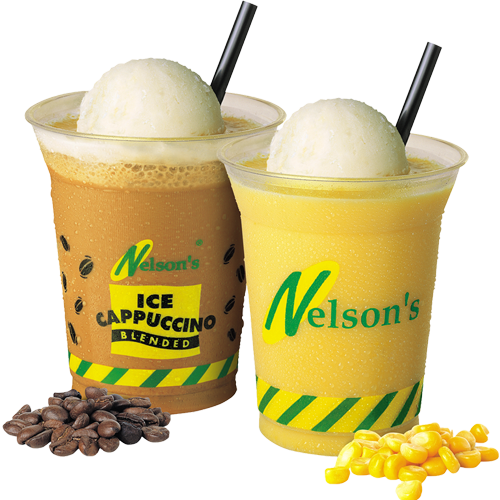 Try out our signature Ice Blended Corn Drink and Cappuccino! Dream of owning a franchise business? Locate and try our healthy finger food! 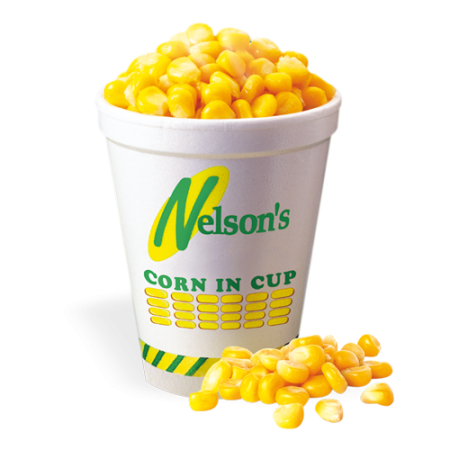 Find a Nelson’s store near you. 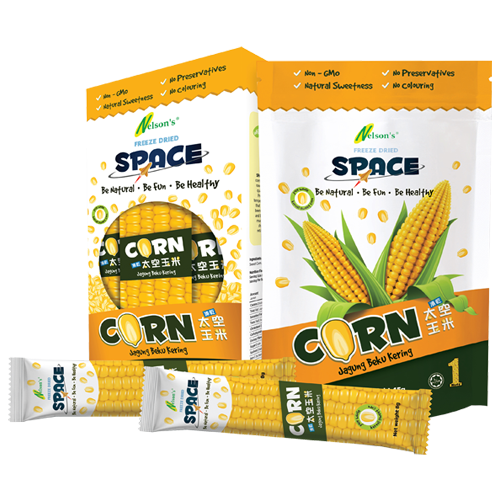 Space freeze dried whole kernel sweet corn is made with the finest home-grown raw ingredients. 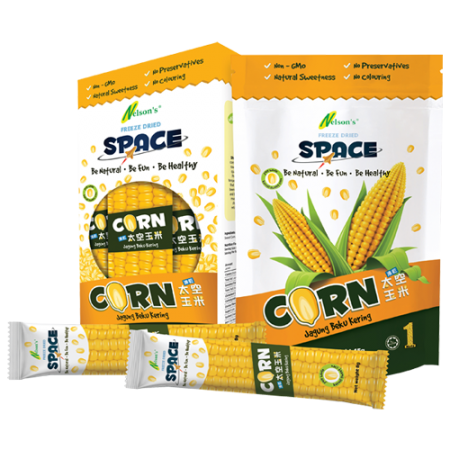 The corn used is of top quality and is made using Space Food Processing Technology. Processed at temperatures lower than -40°C, this ensures that 98 percent of the water content has been extracted, leaving no room for yeast and bacteria to survive. Most importantly, much of the nutrition, taste, color and shape of the delicious corn kernel is retained. Making it a crisp and healthy food for any time of the day. 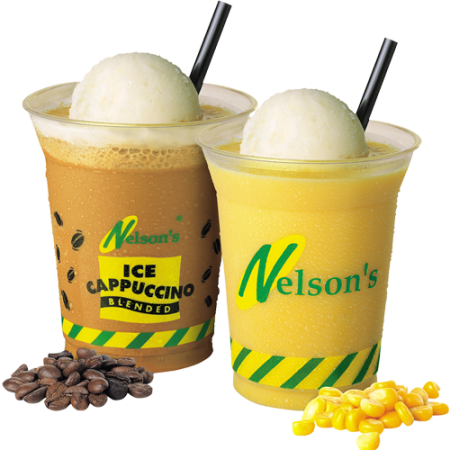 Flagship product of Nelson’s and proudly the World’s first of its kind in the market, a favourite with consumers of all ages. Whole Kernel and Non Cut corn rich in vitamins and full of nutrients and fibre. Make fresh to order, fresh and crispy and pleasant aroma. 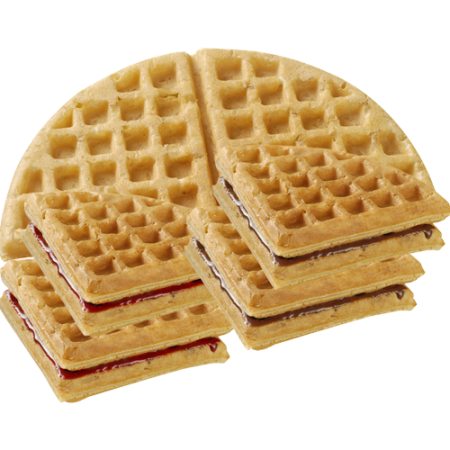 Your can have your choice of spread on the waffle peanut butter, cheese, ice-cream, read beans, chocolate, strawberry. 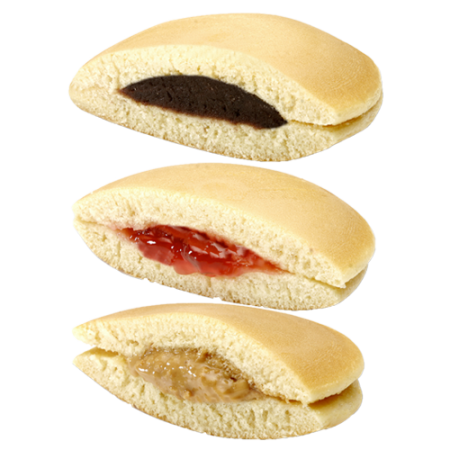 Make fresh to order with our innovative equipments with your choice of fillings ranging such as peanut butter, kaya, red bean, chocolate, strawberry. Ice Blended Corn Smoothies – A rich blend of Smoothies with fresh corn.